That’s right, I’ve joined many fellow bloggers for our “bHome Fall Tour” and we are also offering a $250.00 Amazon gift card at the end (yipee! ), so don’t forget to read those details after you take the cozi-fied tour. Now, before we get started, I have to be completely honest with you. When I was invited to the tour I knew that my Fall decorating was going to be minimal this year. 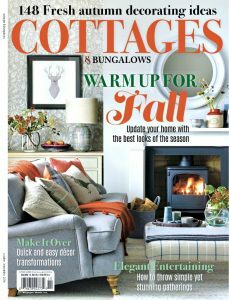 As you may already know, we were featured in Cottages & Bungalows Magazine for our “Harvest Homecoming” full home Fall tour last month. With that being said, I did enough Fall styling last November for this photo shoot to last me through this Fall. Don’t get me wrong though, we have decorated a little, but it mostly focuses on our daughters’ love for Halloween. So, I wondered, what in the world can I share on this tour? The answer was obvious when I slowed down a bit and thought about everything I had already done. There are so many details and ideas that were displayed in the magazine tour last month, but I’ve never had the opportunity to write about how I achieved the look in some of the rooms. There are even a few secrets I forgot to tell you. When you open our front door and look straight ahead, this is the room you see. Our living room has vaulted ceilings so it appears large when in fact it’s pretty small. There is a large wood burning fireplace to the right. I am a traditional Fall color lover probably because I live amongst such beautiful Fall foliage this time of year. I cozied up our leather sectional by laying that burnt orange throw on it along side some furry pillows. The striped pillows are from Pottery Barn years and years ago, but I love the vibrant colors they provide. The sweater wearing fox adds a little fun and I found him at Homegoods last year. The editor suggested a large spray of flowers on the table which would have been super easy 1 month prior when the leaves were peaking. Unfortunately, all of our trees were naked at this point last year, so I used large branches from our yard, and filled in the rest with faux Fall florals. The large pickle jar is from the flea market. All of these items help warm up the room and give off an inviting appeal. The wine helps with that, too. If you mosey down the hall from the living room, you’ll come to a large doorway into our cozy rustic kitchen. We usually have a fire burning on most Winter nights and spend the majority of our family time in this part of the house. In fact, we spend so much time here, I have considered moving the dining table to the living room, and bringing our sectional in here. My husband didn’t even respond when I mentioned the idea, ha! So…here you go. Our farmhouse table all dressed for Fall, and possibly even Thanksgiving. All it’s missing is the turkey & dressing. Here’s the view from the table and also a sample page from the 12 page magazine spread…I ended up plopping the cider onto a fresh stump my husband cut for me because you couldn’t see it otherwise. If you do that, make sure it’s level. I find little pops of red go a long way in a black & white kitchen. I’ll let you in on a secret…sometimes I use cloth napkins for dish towels on special occasions. Yep…it’s true. Can you find them in there? The donuts under the glass of a cake plate really bring in some of those feelings of Mom. They make it less stuffy, and more COZY. If you turn to the right, you’ll see our “Rustic White Hutch”. It doesn’t always look this pretty, but honestly I love it no matter what’s on it. Each drawer holds many household trinkets that we use often, and now a days I don’t even have to think about which one holds what. It just comes automatic. No space is wasted here, and it all adds more warmth when it’s all pretty decorated for a party. The mason jars are filled with popcorn kernels, and then I lit a real tea light on top. In my opinion, nothing warms a space more that candles. If you try this you may get a hot kernel in the wax, so just be careful. The stacked logs add to the rustic theme of our home and become useful when the fire burns low. Lastly…fresh popped popcorn brings it all together and makes me feel all warm & fuzzy inside. Especially when I eat it. Before you run for the Autumn tree covered hills, I have one more easy idea to bring in the COZY. How about getting a cat? I’m joking. How about getting a large cable knit scarf and wrapping it around your bannister? I was lucky and found this Michael Kors scarf at the thrift store (see our daughter modeling it off HERE). If you can’t find one, I found one for you HERE. The garland can be found HERE as well. In this photo I used green dollar store glasses with tea lights instead of traditional candles. Sylvia the cozy rescue kitty definitely agrees that this is COZY. 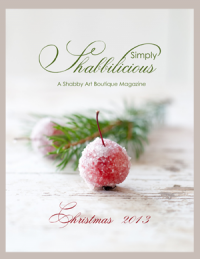 To Enter simply PIN this image (if you’re not on Pinterest a comment will be fine). Winner chosen randomly & notified by email on October 7th. Download the bHome app HERE. Beautiful tour and congrats on the feature! I bought a copy to enjoy. I don’t blame you for not wanting to pull that stuff out now after having to do so much last year. What a large effort and amount of work, love,Dad We are proud of you here in Buffalo, NY. Thank you, Dad! This words mean so much to me & Rick! Julie….loved your beautiful tour/feature!….Your home is the epitome of warm and cozy with beautiful and creative details that says a very happy family lives here! Happy Fall Julie!!! Love your home dressed for fall. Where can u buy a paint Saint? Looks like a very useful thing to have when painting. I love the mix of woods Julie and that fireplace is gorgeous! So warm and cozy!! Hi Christy! Thank you so much for stopping over!! I am headed to your place as soon as I get caught up. Sylvia the kitty is a funny cat. I wish you could meet her in person! Happy Fall to you, my talented friend! Your home is always a pleasure to stop by. 9 faucets. I had to count mine, we have 7 lol! Happy fall friend. What a beautiful and cozy home you have created for your family to enjoy, I love the stairway with the candles and warm colors that flow throughout your home! I’m looking forward to your next newsletter also. You always have such creative ideas! Would you consider switching kitchens? Loving your kitchen, what’s not to love? Enjoyed tour, always do and snag ideas while I can. Where does a person buy Cottages and Bungalows? 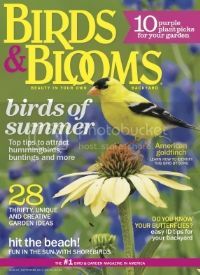 Have looked for it here (Grand Junction, CO) at Barnes and Noble but haven’t found at likely magazine sellers. 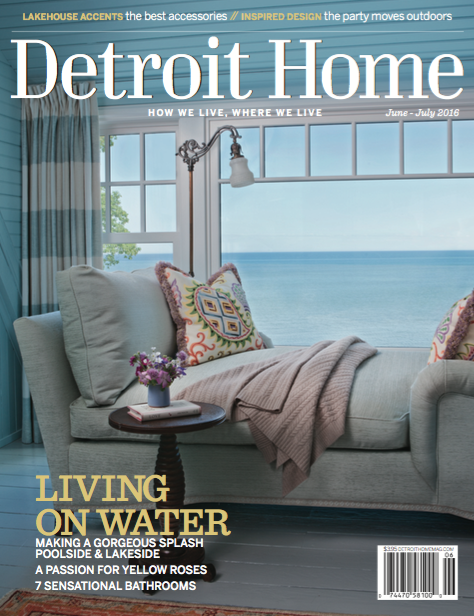 Thought would really enjoy perusing an issue, especially one in which your home is featured. Love the tour; everything’s beautiful as usual!! 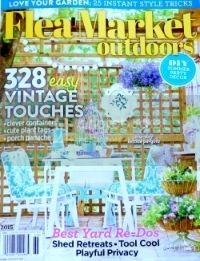 Another magazine feature…….so awesome!! Thanks for the giveaway; sounds like a great one. Your home is indeed cozy, would really love to win gift card ..
Beautiful, thanks or the inspiration! Loved seeing photos of your Fall tour. Your home looks so inviting. Your home is so beautiful. You do such a great job decorating. Your photos should be shown in some sort of a Home Magazine of sorts. Your home looks so warm and inviting and I love the little cozy touches you sprinkled throughout like the scarf on the banister. Overall though, your kitchen is what makes me smile the most! I would absolutely love to have a kitchen like that in my home, and I can see why your family spends so much time there. Thank you for the wonderful tour and congratulations on the magazine feature. I’m a new follower and love your blog. You’re kitchen is amazing, I am so in love with it. The staircase display is lovely and your imagination with the fringed throw/shawl is impressive Darn it……I live in a ranch home. Thanks for all your decorating tips and I am happy to be entered into the Giveaway! To your continued success! 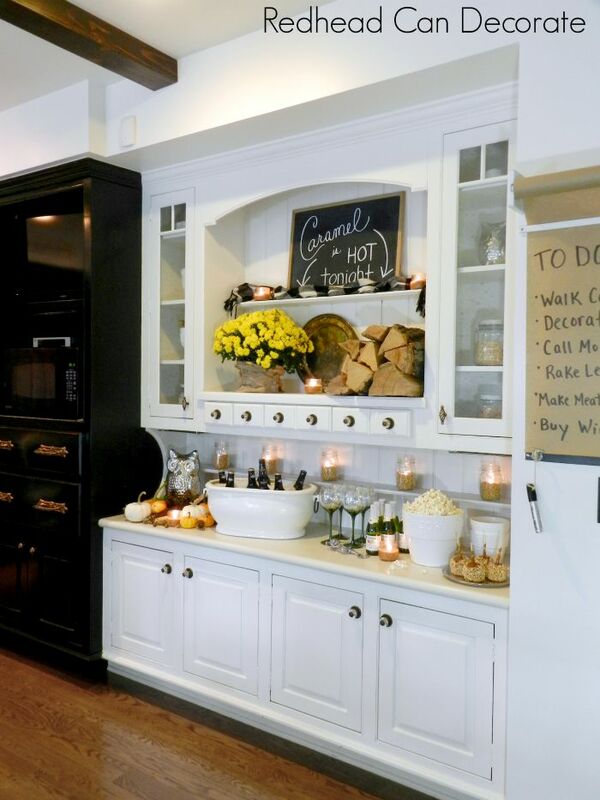 Mantel, oh yes….great idea! Thank you Julie! Oh my stars, Julie, you have created such a warm and wonderful Autumn atmosphere! Seriously charming, sophisticated and welcoming. I am in awe. That is so sweet, Christine! Thank you! I have enjoyed your blog now for about a year. Keep coming back for more ideas. Love your colors and of course your sweet cat! Always waiting to see what’s new! First time to leave a comment! Would love to win! Thank you, Glenda! Good luck with this giveaway!! Love love love the fall decorations. House is beautiful. Can you tell me where you got the table in the first picture? Last year I decorated 974 tables, and, I can’t begin to tell you how many of the wonderful ideas I used that were on your web-site. Not only did I use the ideas for my tables, but, for my own home as well. Thank-you for all of the wonderful projects you have posted. I continue to look forward to your inspiring ideas! Your fall home decorating looks so pretty. I love your style. Congratulations on being featured – again! Love your rustic, cozy wood toned style! p.s. my Paint Saint arrived yesterday ! !– touch up work begins today. Congrats on the home tour. Love the buffet setting. Love it all so much! I got those green glasses that have the tea light candles on the stairs at one of my wedding showers in 1969. Oh, those were the days. Fall colors were popular all year long. Thanks so much for the tour! Love the pictures! Bringing back memories of the smell when the heat gets turned on for the season, the crunch of leaves and my favorite the color of fall leaves. Love how your ideas are subdued like little treats to the eye. This is my favorite time of year to decorate. Your home is beautiful. I am new to your blog,what took me so long? Love your style! Wow, your hope looks Jaw dropping beautiful! Oh! You have a cat! I have two cats, Fred and Ginger, siblings, age 11. How does your cat like all the new “stuff”? Love the black and white as a neutral backdrop for every season! Also the fresh fall foliage instead of flowers! So inviting. Love the style! Beautiful home, so glad fall is here! My favorite time to decorate??? I really love the stairway décor! I wish I had the talent to make my decorations look so good! Lovely home! So warm and inviting! Your home is so full of inspiration! Thanks for sharing your fall design ideas! This is my favorite time of year! LOVE all the fall colors. Your black and white palette really allows those colors to pop. I also love the candles in the green glassware. I also use thrift store cut glassware for votives (punch cups and candles look great on a dining table!) but never used colored glasses. Thanks for the new inspiration! Well Red you did it again! 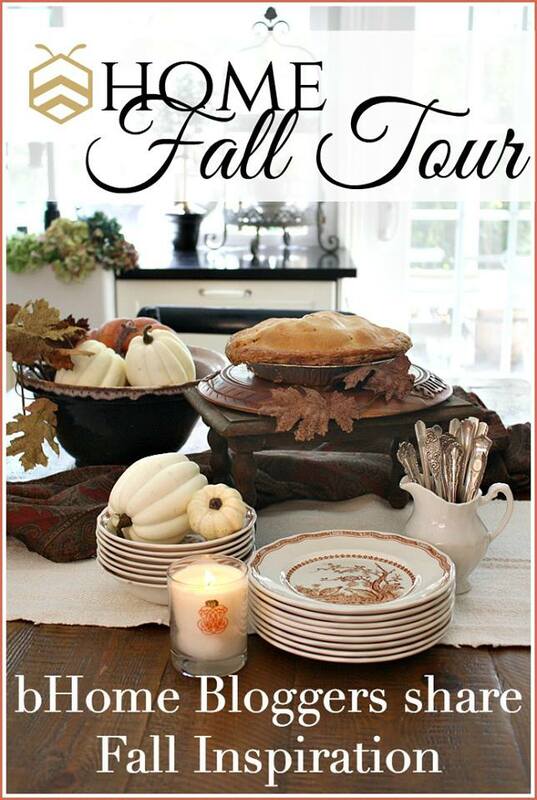 A Lovely fall tour filled with cozy touches! I hope you and your family have a wonderful Fall filled with snuggly evenings in your beautiful home. Julie, Julie do you love me- since I can’t sing just wanted you to know how I love your decorating. That couch,pillows, candles make one feel so cozy. Yes, you love decorating and a huge thanks for sharing ???????????????????????????? Your home is stunning. I wish I had your talent in making a home out of a house. At 63 I am still learning. The addition of the autumn accents just crown your home, Wonderful! Greetings from Georgia! I’m fairly new to your blog, but love everything about it. Your fall tour is so warm and inviting. 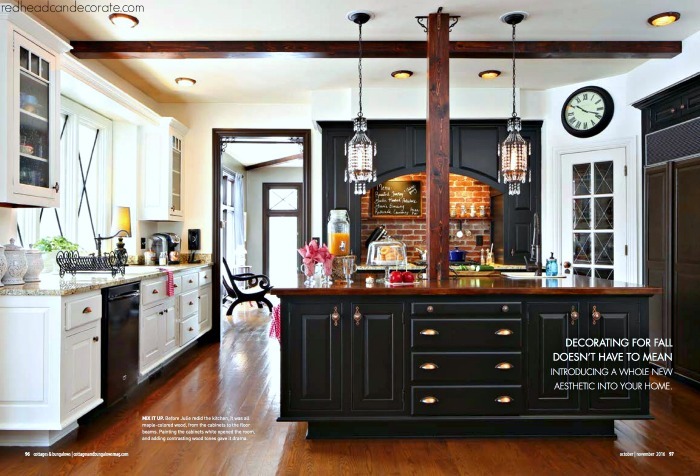 Absolutely love your kitchen! Happy Fall Y’all!! I am so in love with the use of black and white color combination in your decorating. Seeing it put to use in real rooms gives me the courage to try it in my home. Thank you for the inspiration! Amazing home tour as usual. I just LOVE your home. You are very talented. Thank you for the amazing give away as well. Beautiful and warm! The scarf on the banister is surprisingly brilliant! Also thrilled to see my brother’s company ad (Franklin Building Supply) pop up on your blog. Fun! We our listing our home, and the realtor is coming tomorrow. I found lots of ideas for “staging” the rooms for the pictures from your home tour. Thank you, thank you! Lisa! That made my day. Good luck, and I hope it sells quick! Julie, I love your style…I call it ” earthy chic ” …Your use of natural texture, wood and stone is a breath of fresh air in a world of processed everything. I also love how well you are recognized for your talent…not just in the digital world but the paper world as well. Always enjoy seeing what you are up to!! I love how you always find the perfect way to contrast dark and light colors and objects! I love the balance! Love your blog and always can’t wait to see what is new or ideas you share. Your house is picture perfect. The style and details of your home really shows your talent. Thank you for sharing. I love your pops of color. Beautifully done!!! I love your blog and how you decorate. I actually bought the covers you have in your kitchen for the recessed lights (because they looked so good) now I have to find someone to put them up for me!!! lol. I’m one of your silent followers. I enjoy seeing all your new projects. I appreciate that your ideas and links to products aren’t always super expensive. It’s a pleasure to see someone who does her own thing with style. Cozy and beautiful Julie! LOVE all your fall decor. Wonderful to be on tour with you! I love that the black and white with the orange is used in a way that doesn’t say Halloween but just cozy! I love your house and your decor because it is cozy and liveable. It says welcome and come sit for a spell. Your blog is wonderful and truly a treat! Love, love, love your home! 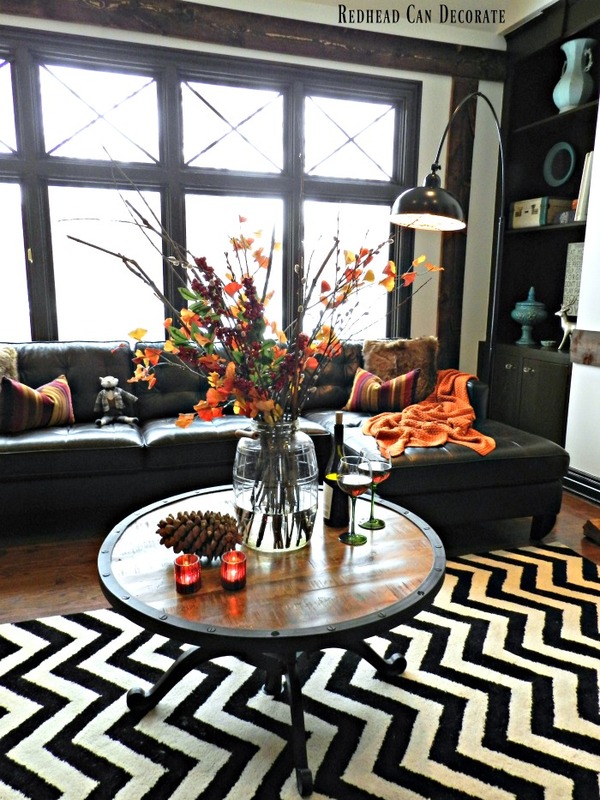 The living room with its chevron black and white rug and fall accents is to die for! Inspirational site. Keep it up! I love that you are using the traditional fall colors. I don’t know what is with all this white and gray that’s going on. I do like change,but I am pretty much traditional when it comes to holiday colors. Love what you do with your decorating. I love following you, and love the Fall foliage, kitchen and stairs here. You have great taste! I am IN LOVE with that black and white chevron rug! I think it would be so pretty to have around all year and then it suddenly takes on a Halloween vibe when you start putting up those decorations. ? I love the fall decorations in your home. I pinned the image. Your home has the perfect amount of Fall touchs. I love it! Love all your great decorating ideas! Fall is my favorite time of the year. Thanks for the inspiration! Thank you for your warm and inviting style. It makes me think I can be a blonde who decorates. Ok, I’ve found the solution to my problem. Since we cannot get you to our house, we are going to move into yours. This way, we will get to live in gorgeousness. You have the “magic touch” in your creativity and designs. You can get something that cost a few pennies, and make it look like a million bucks. Your black and white colors, now with just the right touches of fall, here and there, are fabulous . I alway look forward to your post. I open each with excitement and anticipation. Thank you for never failing us. I enjoyed your Autumn House Tour and you’ve inspired me to begin decorating for the autumn season. Congratulations on your magazine tour. I enjoy all of your decorating and DIY projects. I’ve enjoyed your Autumn Seasonal Tour. You’ve inspired me to begin my autumn decorating. I always look forward to your decorating and DIY projects. Congratulations on your Magazine Home Decorating Tour. I can’t wait to see what you’re up to next! I look forward each week to look at what’s happening next with your blog. Thx. Every detail in each room draws me in! Your home is so welcoming and you are one gifted woman! ? Love all of your decorating!! Really inspires me to get busy on my own!! Wow! I am so impressed by your decorating! I wish I knew how to do that. I swear, I start out wanting/having the best intentions, but somewhere or another I either do too much or too little. I don’t know the line I guess! I LOVE your pictures above. SO gorgeous! Thanks for the ideas for sure! I LOVE how you list where to find accessories for us. VERY helpful! My favorite idea of yours is the black and white checked scarf. What a great, inexpensive idea to add pattern and color to your tablescape!!!! Doing it!!!! Would ??? to win the giveaway! I am addicted to Amazon!? Would love to win the give away ……….pinned and hoping !!!!!!!!! Beautiful and inspiring pictures! I especially love the sweet cat in the staircase banister. So precious! Greeting and congrats! Everything looks so amazing I wish I could only get close to making things look so beautiful! I love all of it. So creative and well stated! Thank you for sharing! Your house looks so very cozy, especially since we’re still having some days in the 80’s!! I always enjoy seeing your posts. Our taste and colors are so very similar. I love finding great ideas from you!! Thanks for the enjoyment!! Would love to win but more importantly I am enjoying fall and the home tour. Your home looks wonderful! 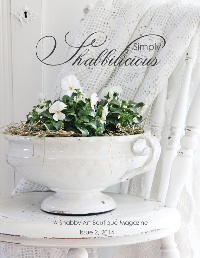 Congratulations on the magazine and thank you for the chance to win! What you come up with for C’mas!! 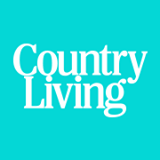 Just found your blog and love how comfortable and homey your house is. I love all the “Planking you have done. I’m keeping the info. to try the same idea in my bedroom. Will keep looking for your blog. As always, your home looks lovely. Love your styling and thanks for the giveaway. Your house always looks great, no matter which season, but I really like how you dressed it up for fall. Love Sylvia too. Great fall tour! Now could you please send a piece of that pie to Illinois for me please…….lol! Everything in you your home looks gorgeous and cozy from top to bottom, but I’m drooling over that brick wall with the black cabinetry around it! Fall is my favorite time of the year, and I really love decorating for it. Your wonderful home truly inspires me!!! I just feel like when I walk into your pictures, it’s like being wrapped in a huge warm (and cozy) hug. Thanks for sharing – keep inspiring!! 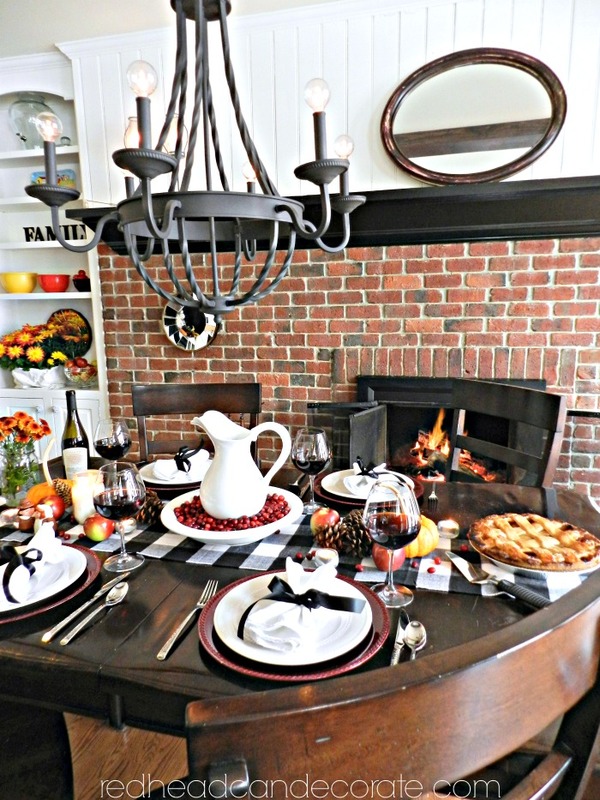 So loving the Fall Home tour cannot wait to see you Christmas tour.. Getting great ideas as I start my own decorating. I absolutely love Fall and we have the best colors of trees changing up here in the Midwest. Your home is such an inspiration to me. I love your practical, wonderful approach to decorating…using what you have leaves room in the budget for those things you can’t DIY. I’m trying to reno my whole house, so these ideas are really appreciated. As if Fall isn’t wonderful all by itself, these ideas make me anticipate the cooler days even more! beautiful and I love amazon!!!! 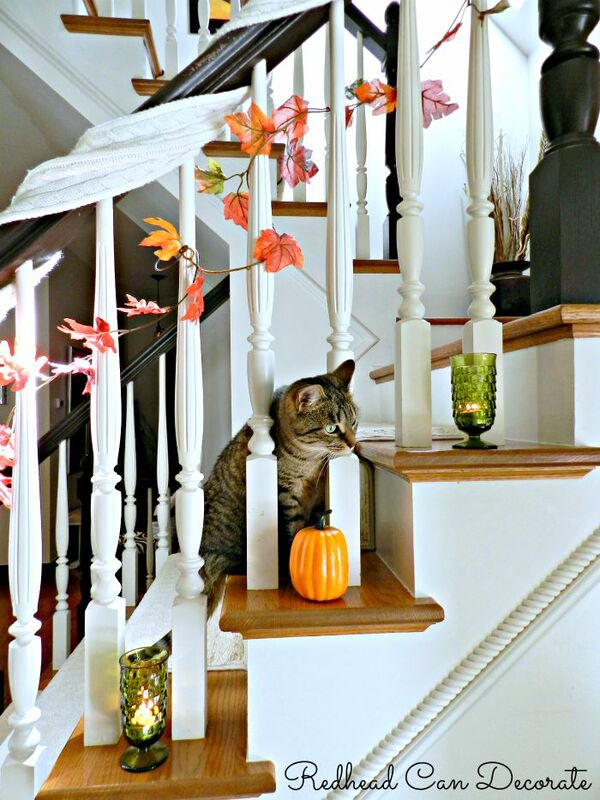 Love the pumpkin on the stairs! I’m going to have to clear out the family’s junk they like to leave and put little pumpkins along my stairs. As usual your home is fantastic!!! Love the picture of your cat. ? How gorgeous!!! Love the stair well idea!!! I think I still have my green glassware like that !!!! And……. who isn’t a fan of Amazon!!!????!!! Thanks for sharing !! Congrats on the feature!!!! My favorite part of the whole tour was Sylvia, the rescue kitty! 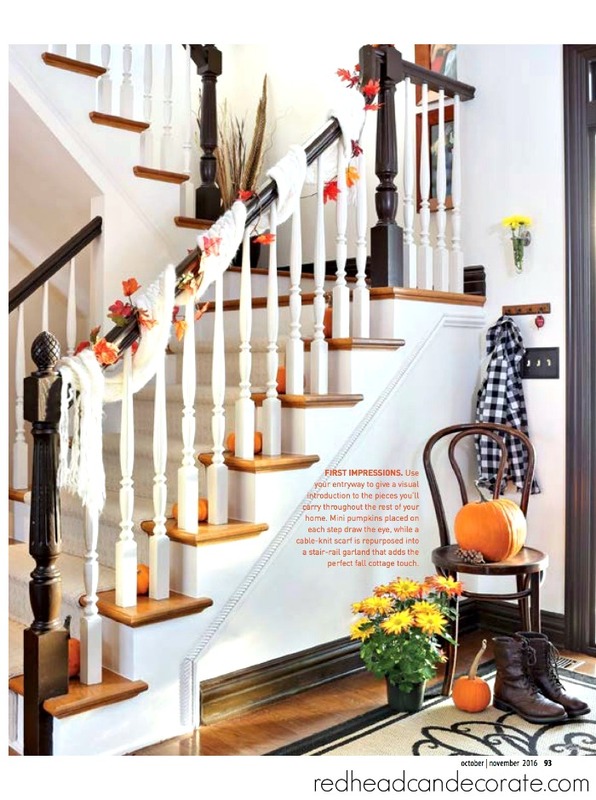 The house is gorgeous and the scarf garland is brilliant – I am running to get a scarf and decorate my banister now…. The Paint Saint looks like a genius idea – I will definitely check it out! Love all the photos everything is beautiful. I so agree redhead CAN decorate!! I love your website! I am partial to redheads. My husband and both my children are redheaded. They are so intellectual I think. Thanks for sharing.